In Reno, the weather was a bit cooler and the crowds were a little smaller, but that was just fine for most of the motorcyclists who made the trip to the 2013 Street Vibrations Rally this past weekend. Street Vibrations manager Randy Burke, put the attendee estimates around 30,000. The vendor space expanded this year in downtown Reno as all vendors, including those at the Nugget, were consolidated in downtown Reno. That was a good change especially if you stayed downtown. You might recall that in 2012, the Nugget moved vendors off Victorian Avenue and into a gated parking lot west of the hotel. 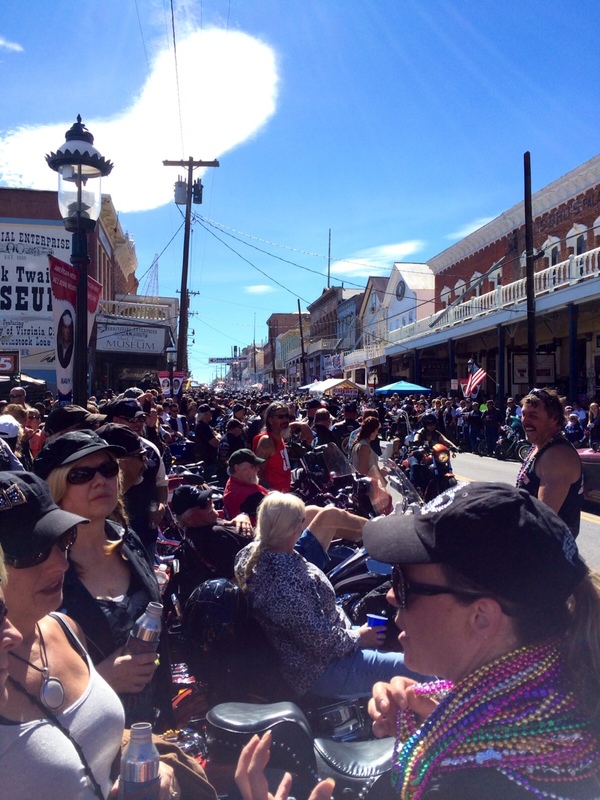 The Street Vibrations crowd was ‘huge’ in Virginia City where hundreds lined C Street to watch the motorcycles roll through, grab some food/refreshments and toss around some beads. In addition, the Harley-Davidson dealer in Carson City took over several blocks with music, vendors, a beer garden, motorcycle stunt performers and lots of chrome and leather. Street Vibrations brings in an estimated $56M economic impact to the region, just slightly behind the USBC Women’s Championships ($62.9M). Clearly people who are enjoying themselves in the Biggest Little City is good for business. Unfortunately, the one downside with the big increase in the number of motorcycles in the area was one motorcyclist fatality in Reno and 4 others hurt in crashes in Carson and at Tahoe. Note: as a result of the 2011 club-on-club shooting (HERE), the city continued with the “No Colors” rule. Individuals who displayed club colors (as defined by the US Department of Justice) at Street Vibrations venues and participating sponsor properties were asked to conceal them or exit the event. Previous blog posts on Street Vibrations (HERE).